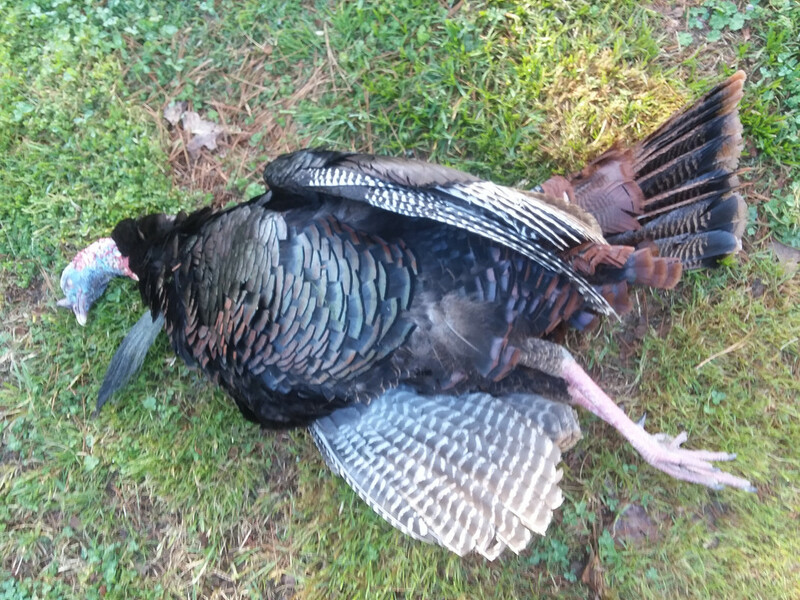 Discussion in 'Crossbow Hunting - Turkeys' started by robertyb, Apr 4, 2019. But I am proud of him anyway. Got him around 8:09 this morning. xcaliber, 8ptbuk, jacol84 and 2 others like this. Nice colouring, what's he weigh in at? Nice bird, Robert. For some reason, the "like" key is not working for me today. Congratulations! Va. Opens up in a week. Congrats Robert, how is that shoulder doing? Did not weight him but would guess right around 20 lbs. He had a 9 1/2" beard and 1" spurs on both legs. It is getting better I think. Not hurting as bad as it was before at least. I still am having trouble lifting any weight with it but at least the pain is manageable now.